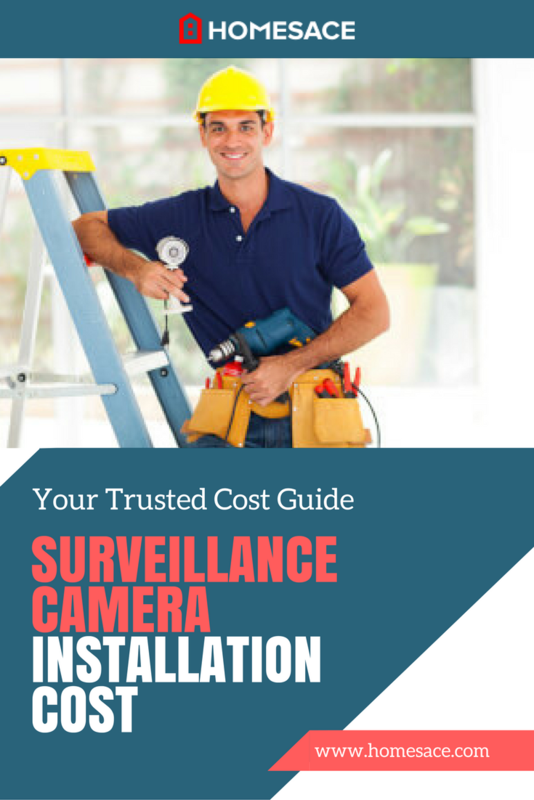 How Much Does Surveillance Camera Installation Cost? With the increasing wave of crime, home and business owners are deeply concerned. As a result, there is a need to invest in electronic equipment that provides 24-hour surveillance and even alerts you in the case of an invasion. One such equipment item is the surveillance camera. It not only monitors your property but will also show you who invaded and at what time. Surveillance camera installation is not a difficult process. Cameras nowadays are easy to acquire, they are light, and affordable. How Much Will It Cost To Install a Surveillance Camera? The most basic surveillance camera installation will cost you about $1,000. However, you should expect to pay somewhere between the average $1,500 and $3,500 for quality surveillance equipment and the best protection. You can also pay more for advanced protection which includes HD surveillance camera installation, security lighting, and sensors that trigger alarms and send information to the police whenever there is an intrusion into your home or business. If you are looking to guard your loved ones and property, surveillance camera installation is now a very affordable option. Before you hire just anyone for the job, we recommend you compare at least 3 estimates from local surveillance experts. This will ensure a quality guaranteed installation is completed timeously and on budget. The overall cost to install a surveillance camera will be influenced by the type of cameras you buy and the labor required to set them up. Cameras come in varying shapes and sizes. Some of them are small and suitable for interior sections while others are big and suited for installation outside the house. Both of these are available at varying prices. The shops from which you buy your surveillance cameras will also influence overall costs. In fact, many contractors will advise you to get the cameras from your preferred shopping store before they charge you an hourly rate to install them. Video surveillance systems are available in most retail shops where they cost anywhere from a few hundred to several thousand dollars. Compared to a couple of years ago, surveillance camera installation has become inexpensive. If you are shopping for a home security system, you shouldn’t end up getting a bad deal. With the wide range of security systems available, arm yourself with knowledge from surveillance camera installation experts before attempting to make a choice. Wired cameras - These cameras require running cables throughout your home and may be expensive to install. Wireless cameras - These cameras can be installed anywhere in your home and are connected via WiFi. Although they are the most preferred, proper installation is required so that you don't run the risk of an interrupted transmission and lose the entire feed. A local contractor might explain to you how and where to get some of these at a good price. Surveillance camera software installed on your home computer. If you can afford to get a new dedicated computer, then it will be an added advantage. Wireless security cameras and mounting equipment. Network attached storage of 1TB or more for keeping the footage. The prices of these items can vary depending on the options you choose. Some of them, like the software, are usually free of charge. Note that the complexity of installing advanced security cameras requires the help of a professional to ensure that everything is installed correctly. By entering your zip code in the space provided on this page, you can get 100% FREE surveillance camera installation quotes from the experts. There’s absolutely no obligation to hire or purchase.